Badagry sits on one end of Lagos like an ignored elderly woman, whose hands raised nations but time and circumstances have snatched vitality from her. She is seen but often not heard and her past stares at her constantly, never forgetting. These lands have seen glorious days and Nigeria’s history begins with her for it was on her doors that white foreigners knocked on, conquering her first before spreading slow and steadily till the entirety of Nigeria was conquered and brought together – albeit, forcefully like a bunch of angry birds in a cage. 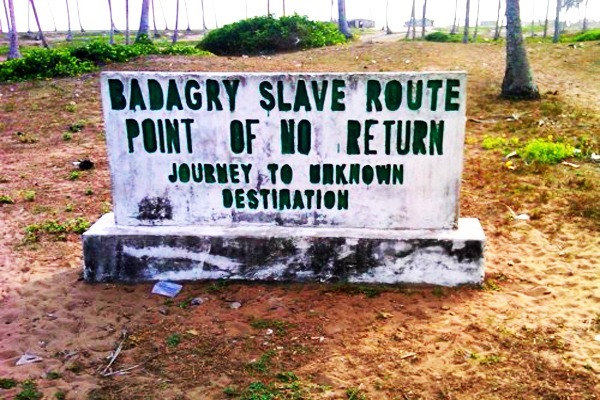 Badagry stands as a relic – a memorial to the millions of people who were sold out to slavers and who crossed the Atlantic to places their eyes never knew existed. Some returned. Most didn’t. But Badagry lived on, now playing a critical role in the tourism sector and serving as a reminder to humanity about our inglorious days and the implications of greed. These days, slavery feels like a bitter pill, a chapter in our inglorious history that we’d rather forget or blame the white man for. Yet, Badagry reminds us that despite the white man’s enormous role in slavery, Africans were as complicit in the trans-Atlantic trade as they sold off other humans in exchange for values. 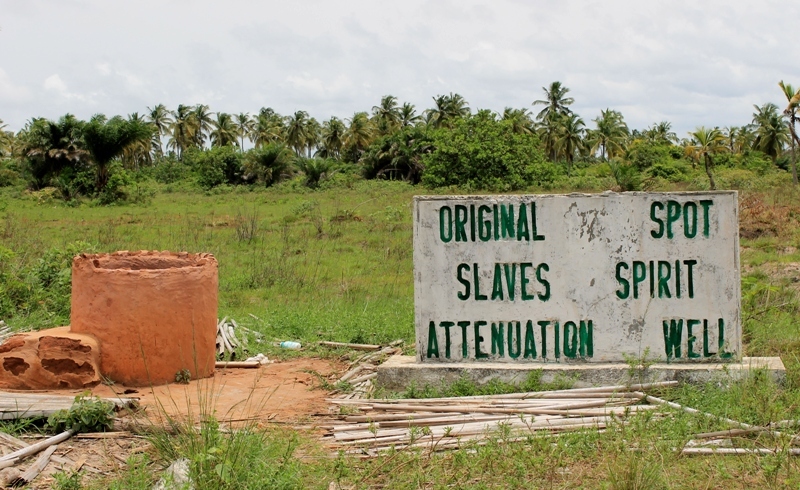 Under slave trade, Badagry thrived commercially and blossomed like a flower in wet season. When slavery ended, Badagry withered, beginning a slow decline till its present state now. 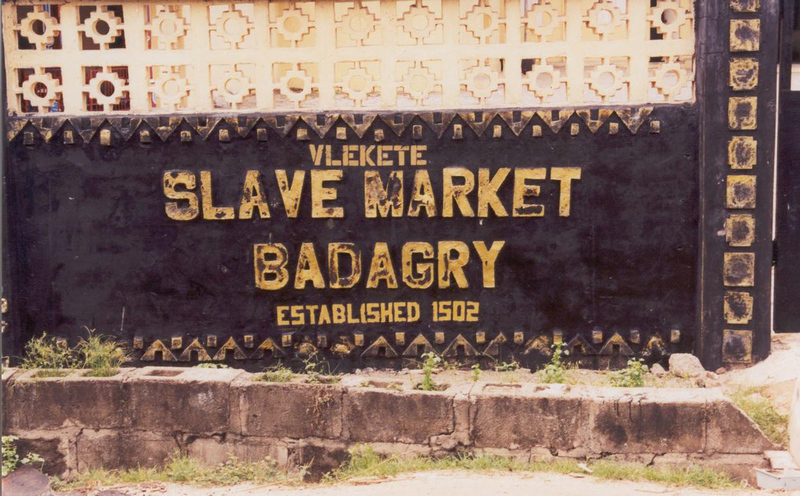 And, at present, if you visit Badagry without paying a visit to the slave museums, then you haven’t been to Badagry. In Badagry one learns that life is different from other parts of Lagos. In fact, it feels like it isn’t part of the boisterous state as Badagry sits further away from most of Lagos and is almost immune from the mad rush, noise and busy nature of Lagos central. A coastal town lying at the mouth of the Atlantic and bordered by Seme town, leading to Benin Republic, I am told that a good majority of Badagry residents are civil servants employed by the federal government to work at the agencies, military and paramilitary bodies located there. Seme is said to be the busiest border service in Nigeria, generating high revenue for the central government and state officials working there mostly live at Badagry. “Other people work in Lagos, but because accommodation is cheap here, they live in Badagry and work in Lagos,” Chikodi says. Badagry is the ancestral home of the Egun ethnic group – one of the ethnic groups that make up Lagos. Eguns were mostly fishermen and so it was from there that some of them migrated into the hinterlands when the Europeans came, setting up homes on waterfront lands and replicating the lives their forebears lived in Badagry. With time, Badagry has become home to Yoruba settlers and, eventually, members of other ethnic groups from across Nigeria. 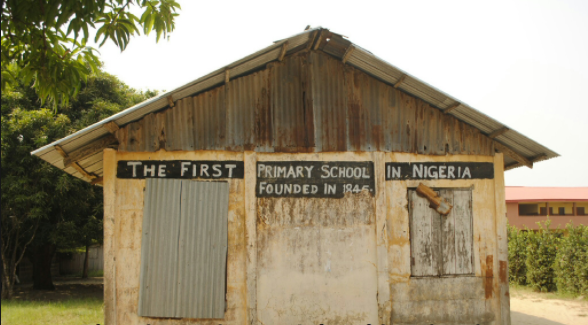 Badagry is also a town filled with a lot of firsts: the first primary school in Nigeria, St. Thomas, was built in Badagry in 1845; Christianity was first preached in Badagry in 1842 by Reverend Birch Freeman a Methodist Church missionary; the first church was built in Badagry; in 1845, the Reverend Henry Townsend built the first storey building in Badagry – this house would later be inhabited by Samuel Ajayi Crowther, who translated the English Bible to Yoruba. But for a town of many firsts – and also a place that claims to be where ‘modern civilisation’ started in Nigeria – Badagry is sadly still far behind, lacking facilities and systems deserving of its place in history. Born and educated in southeastern Nigeria, Chikodi moved to Lagos for a job, whereupon he was posted to a clinic in Badagry eleven months ago. During outreaches, Chikodi says that he and his colleagues often face difficulties communicating with patients mostly due to a language barrier and the fact that most residents cannot communicate effectively in English – even pidgin too. Although there are a handful of medical facilities in Badagry, the biggest medical centre here is the General Hospital, a government-owned facility where critical cases are referred to but it’s often subject to the vagaries common in state-owned institutions. “These things are still the major problems here: education, healthcare,” Chikodi says. In Badagry, the ocean eats. People feed it, believe in its powers and call on it for blessing and help. This body of water is believed to have mystic powers and people come to it in supplications. Although, there are no statistics, but, I later learnt that a lot of residents attend white garment church. “I think it’s because of the water,” a source, who happens to be Chikodi’s colleague, claims that the dominance of white garment church is linked to the water bodies surrounding Badagry. Although the Methodist and Anglican faith began their missions in Badagry, they’ve since been replaced as the most popular Christian denomination.